The day a child is born his or her hair is referred to as their Crowning Glory, hence, we grow up with the notion that our hair is the most prized possession, and we make sure that we do our extra bit so that our perfect head is covered with the most fascinating, healthy, lustrous and shining hair which is the envy of everyone who sees it. But alas! Our dream of possessing the same is shattered somewhere along the years and we are left worrying and fretting over what we have lost. Let us tell you what may have gone wrong over the period of time, for this stage to come. There are many causes of scalp hair loss, and they differ in men and women. Studies show that losing up to 100-150 hairs per day is normal. Human hair naturally grows in three phases: Anagen is the active or growing phase. Catagen is a short phase during which hairs begin to break down. Telogen is the resting phase. About 10% of our hair is at resting stage at one time, hence are not growing and ready to shed in normal cases. In general, most hair loss may or may not be associated with systemic or internal disease, or occasionally poor diet a frequent factor. Hair may simply grow thin as a result of predetermined genetic factors, family history, and the overall aging process. Many men and women may notice a mild and often normal physiologic thinning of hair starting in their thirties and forties. Normal life variations including temporary severe stress, nutritional changes, and hormonal changes like those in puberty, pregnancy and menopause may cause a reversible hair loss. 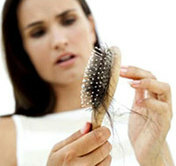 Several health conditions, including thyroid dysfunctions and iron deficiency anemia, can cause hair loss. Several immune suppression medications including those drugs used in chemotherapy cause hair loss. Complete hair loss often occurs after a course of major chemotherapy for cancer. Usually, hair grows back after six to 12 months. Certain conditions of scalp like fungal infections, dandruff and Seborrheaic Dermatitis also damage the hair roots and cause hair fall. There are numerous ways to classify hair loss. One useful way has been to classify hair loss by whether the loss is localized (small area) and patchy or whether it affects large areas or the whole scalp (diffuse). 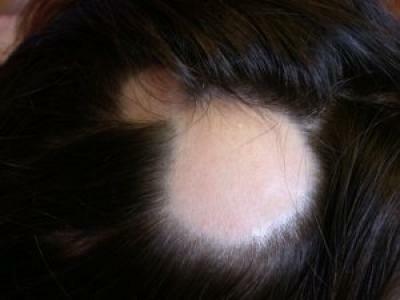 Alopecia Areata - small circular or coin size patches of scalp baldness that usually grow back within months. It is an auto immune condition. 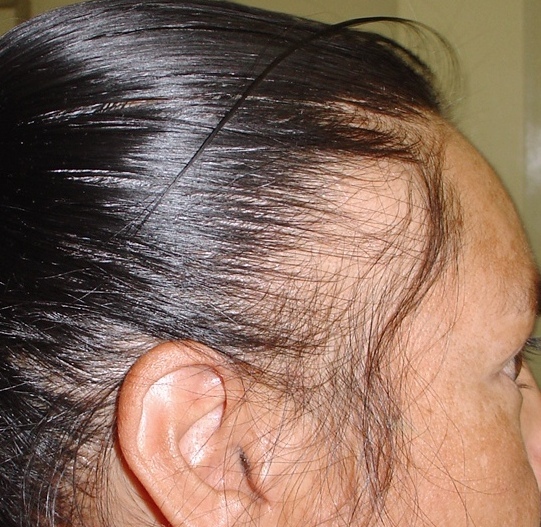 Traction alopecia – thinning from tight braids or ponytails which puts pressure on hair roots and causes breakage. Trichotillomania – the habit of twisting or pulling hair out which is mostly related to stress in adults. 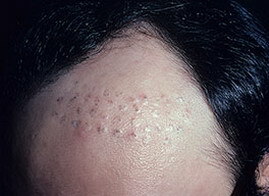 Tinea Capitis – fungal infection of the scalp causes such spots. 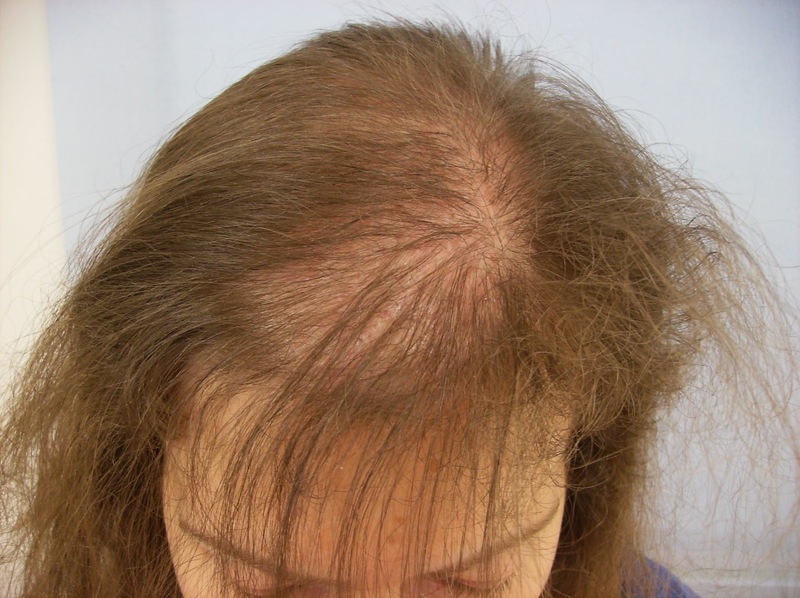 Androgenetic or androgenic hair loss (“male-pattern baldness,” /”female-pattern baldness”) – This type of alopecia is often attributed to genetic predisposition and family history. Traditionally, this was originally described only in men, but we now know it is seen in both men and women. 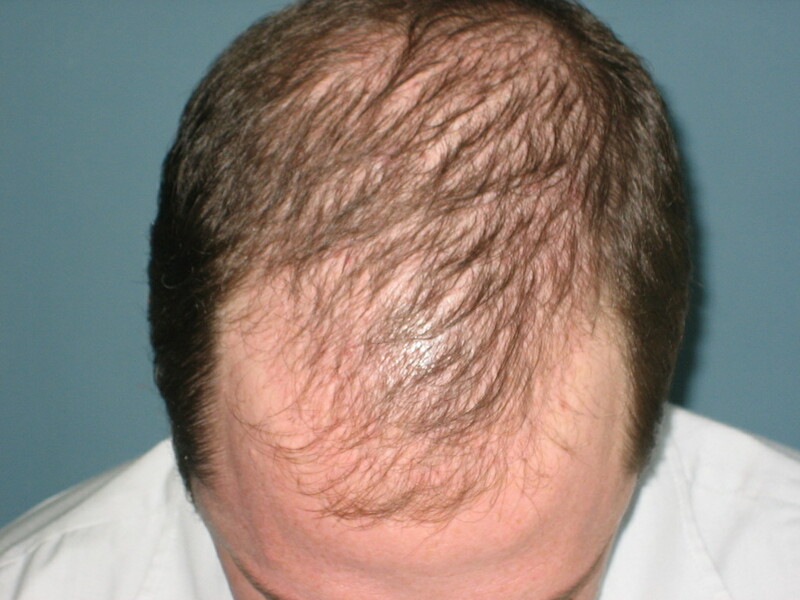 The hair loss in men is often faster, earlier onset, and more extensive. 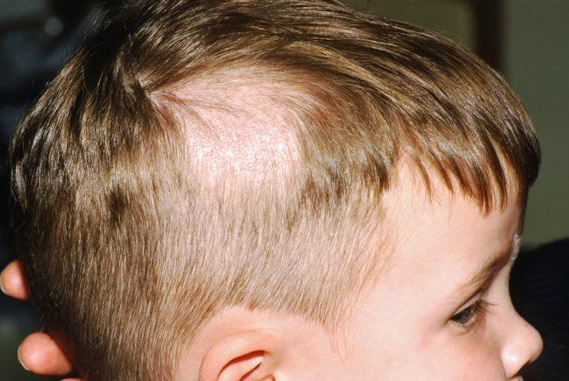 Adolescent boys notice some receding near the temples as their hairlines change from the straight-across boys’ pattern to the more “M-shaped” pattern of adult men. In women the hair loss pattern is noticed after menopause mostly and usually thinning of hair is more on crown and from the middle of the head. The homeopathic method of treatment is based on individualization and the perfect remedy is given after considering the specific symptoms of the patient. Unnatural hair fall indicates some under lying condition which needs to be corrected or balanced in the body. Homeopathy aims at recognizing this cause and treating it by the body’s own healing mechanisms at the physical and mental levels. It is a safe therapy without any side-effects, removes the chronicity of the complaints and promotes overall health of the patient. Highly indicated remedies like Thallium, Carbo veg are helpful in correcting the hair loss after a debilitating illness. Underlying conditions like dandruff and dermatitis are covered well with Mezereum and Sanicula. Use of intercurrent, deep acting medicines is done to tackle the hereditary tendencies and correcting the balance in the body. of recurrence of hair loss and bringing about a permanent cure. of good quality hair along with medications. Standard and good quality products should also be used to take care of your hair.